You are already aware that the best way to avoid an arrest for drunk driving in Florida is to not get behind the wheel after consuming alcohol. However, it is also helpful to understand the reasons police may pull you over, so you will not expose yourself to the risk of getting charged with DUI. Generally, police are looking for probable cause that you are impaired, i.e., signs that you are driving drunk. A knowledgeable Florida DUI defense lawyer can explain more about the process, but you may also find it useful to know the top reasons police could pull you over and arrest you for drunk driving. When police see you speeding, running a red light, or failing to use your blinker when turning, they may pull you over for a traffic violation. From that point, they may arrest you for drunk driving because they observe bloodshot eyes, slurring words, or other indications that you have been drinking. Officers may also smell alcohol, which is also sufficient probable cause to charge you with DUI. 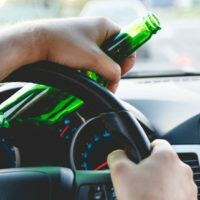 You may think you have less of a chance of being pulled over by driving under the speed limit, but police are familiar with this tactic by inebriated motorists. They can stop you based upon this suspicion, and then investigate further to determine whether to arrest you for drunk driving. It is common for police to set up sobriety checkpoints in certain areas, and especially around the holidays. Officers know that people may be celebrating around Christmas, New Year’s, and can make bad decisions to get behind the wheel. These stops have been found constitutional by courts, so you cannot rely on invasion of privacy as a defense against DUI charges. Florida law prohibits texting while driving, so you could be pulled over if they see you sending or reviewing messages. The statute also includes a ban on surfing the internet, posting on social media, taking pictures, or capturing video. When officers are addressing this type of traffic violation, they may also sense that you consumed alcohol. When you are involved in a traffic collision that results in injuries, fatalities, or property damage, police will be dispatched to the scene. Because they must file an incident report, they will interview drivers and passengers. As part of their investigation, they may find evidence that you have been drinking. Note that a DUI accident can carry serious criminal sanctions, even if you have no prior history of drunk driving. The offense may even be charged as a felony, which means longer terms or imprisonment and higher fines. If you were arrested for drunk driving and want to know more about your defense options, please contact Fort Lauderdale attorney Kevin J. Kulik to schedule a consultation. Our legal team has years of experience representing drivers accused of DUI, and we can help you, too.